Getting into the whole 720p display craze, AT&T customers have the fine opportunity of finally picking up the carrier’s very first Android powered smartphone with a 720p display on board. Naturally, the LG Nitro HD’s 4.5” 720p True HD IPS display is going to impress a lot of people with its crunching pixel density of 329 ppi, but beyond that, it’s also one of the few 4G LTE devices on the carrier’s handset selection. Dishing out $249.99 with your signature on a 2-year contract, or a staggering $599.99 outright, will get you into the latest and one of the most highly prized devices out there right now. Of course, when it’s priced where it is, there’s obviously a lot of high-end goodness that will appease people – like its 1.5GHz dual-core processor, 8-megapixel auto-focus camera with LED flash, 1080p video recording, aGPS, Bluetooth, and Wi-Fi. Even better, if you happen to live in an area that has AT&T’s 4G LTE network up and running, you’ll be able to unlock the handset’s true potential in obtaining lightning fast data speeds. However, some might still be hesitant about picking it up seeing it’s running Android 2.3 Gingerbread – though, it’s more than likely to receive an update in the future for it. Nevertheless, if you’re on AT&T and want something that stands out more than others, the LG Nitro HD is going to be the perfect fit. Really nice phone with a really nice display. Too bad the ui is horrible. The UI is very similar to TouchWiz and I'd assume you have a Galaxy device not very different to what you call "horrible"
i would consider but, ugly ui, and i dont expect this phone to get past ics in updates. Also the GN has a better screen even though its 13ppi less than the nitro. Samoled does wonders. Cool how do u like it so far? Gingerbread 2.3.x works fine...any dual core phone will get ICS eventually, either via the manufacturer or XDA. Just got it 149.00...great phone for that price!!! i got mine in NJ..
Is it discounted around l.a area and n.y area? Goddammit, I want this phone so bad! 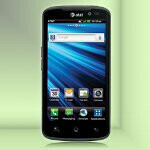 Why don't LG make an international version of the phone instead of AT&t only?! The international version is the LG Optimus LTE. It looks like Samsung...why only HTC differ from the others? LG has a track record of dishing extremely show updates. We'll see how this plays out. Only bright spot is the screen and huge battery, 1800 I think. Meh, its an Android phone, but an ok looking one. I'd be interested to hear the battery life that PA claims in their review. Mobilesyrup says they only got 2.5 hours of talk time out of our version of the Nitro, the Optimus LTE. Haven't used one, but the screen is beautiful - almost better than the GNex's. this is running a crapdragon. its not in the same league as the nexus. just get the nexus. I got to check this phone out yesterday, that screen is insane!! now if Samsung can get a Super AMOLED Plus display with that resolution, the screen game would be over..